When it comes to self-directed learning, one of the biggest concerns brought up by those not practicing it is the perceived lack of teaching: people can’t learn things on their own, goes the common thought, they need to be measured and tested, they need that feedback! Of course, people can learn things on their own sometimes, and self-directed learning is by no means an entirely (or even mostly) solitary pursuit. But I do want to discuss the meaning of feedback, and when it is and isn’t helpful. 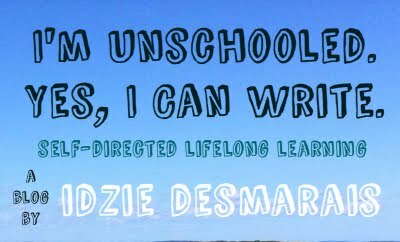 I think that quote applies whether we’re talking about writing or anything else, and no matter the age of those involved. Constructive feedback must be consensual. 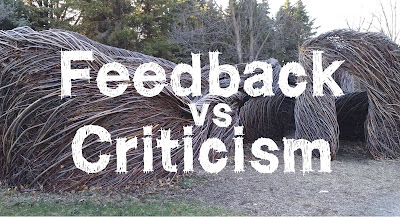 If “feedback” is not consensual, it’s rarely if ever helpful. Though the terms could be used interchangeably depending on context, for the purpose of this post I’m going to separate the two, and use feedback when I mean consensual and helpful, and criticism for the opposite. In the decade I’ve been blogging, I’ve had a host of people edit my work for me, at my request or with my agreement, and I’ve also had people appoint themselves as my retroactive editors without my consent, once a piece of mine has been set loose into the world. I’ve had people who’ve never talked to me before send me a tweet pointing out a small typo and saying nothing else. I’ve had strangers send me long emails literally breaking down a post of mine piece by piece to point out every perceived grammatical error (often only some of which are even “errors” to begin with, instead of deliberate stylistic choices). Or send me even longer emails telling me all the ways I’m wrong while assuring me they’re just being helpful by sharing their oh so valuable criticism. All of the above are examples of people criticizing my work, to me, without my consent. People who, as Annalee Flower put it, are “presuming a position of authority.” This is, by the way, entirely different than criticizing a piece of work on your own social media channels, with your own friends, or on your own blog. It’s also different than someone respectfully disagreeing with me, saying “well actually, I think it’s more like X…” or “I think you left out some important context” or anything else of that nature. When I put something out there, it is with the full understanding that it will likely be interacted with, shared, and disagreed with. The thing I take issue with is when someone comes to me not on equal footing, but attempting to correct me. If someone writes a blog post responding to one of my posts about how they think I’m wrong, that’s fine. If someone sends me an email “editing” a post of mine without my consent, that’s arrogance. The latter stands in stark contrast to all the countless editors, both professional and amateur, who have helped me with my writing over the years, with my full and grateful agreement. Almost to a single person they’ve been part of my improving skills, and I can’t imagine where I’d be without their feedback. I’ve used my own experiences as an adult to illustrate the differences between feedback and criticism, but as is almost always the case, the same goes for both adults and children. We all deserve to be treated with respect, and a part of that is considering how consent plays into all of our interpersonal interactions, regardless of age. In this culture where hierarchies are built into every area of our lives, the presumption that adults hold authority over children is taken as a given. Depending on your definition of “authority,” that could be true to an extent: children aren’t capable of doing many things independently, and to develop properly they need adult care and guidance. But then, so too do adults need others to function best. Adults have varying needs and sometimes require quite a bit of care from others. Authority, to me, implies some level of force or coercion, and when adults feel that their position is not carer, guide, or friend to children, and instead a figure of authority, they’re giving themselves permission to work upon children instead of working with them. When adults have embraced their position as shaper-of-child, they take for granted that they have the right to criticize at will: to correct, to lecture, to direct, and to inspect. It never occurs to them, just as it never occurs to the people who email me about typos, that their shouldering of authority might not be welcome, and that it is up to the individual they’re attempting to act upon to decide whether or not they want feedback. If instead we start acting with consent in mind, trying to create respectful relationships, figuring out what each person wants and needs, and attempting to come up with solutions that work best for all involved, you’ll start to distinguish between what’s actually helpful feedback, and what’s unwanted criticism. We all have a right to figure things out on our own without someone constantly peering over our shoulders; to make mistakes without having every single one of them pointed out in real time; and to choose when and from whom we receive feedback. As I touched on previously, feedback can be immensely valuable, and is most definitely important for children at least as much as for adults… But there are ways and ways of going about it, and as with anyone else, if children feel heard and respected, if they know they have a say in their own lives and get to make their own choices, they’ll be far more likely to seek out and accept feedback from people whom they trust. The voice of someone who respects you will always be more welcome than that of someone who thinks they always know best, and that you should be grateful for any criticism they throw your way. It’s okay to set boundaries, to reject unsolicited criticism, and to only pay attention to the people who respect you enough to figure out if you want their help before deciding you need it. It’s okay for children to do all that, too. Criticism and feedback are not the same thing, and it’s time to stop pretending that people should be grateful for the former. If you enjoyed this post, please consider sending a tip my way via Ko-fi, or becoming a Patron, which will give you access to all kinds of extra content from me.